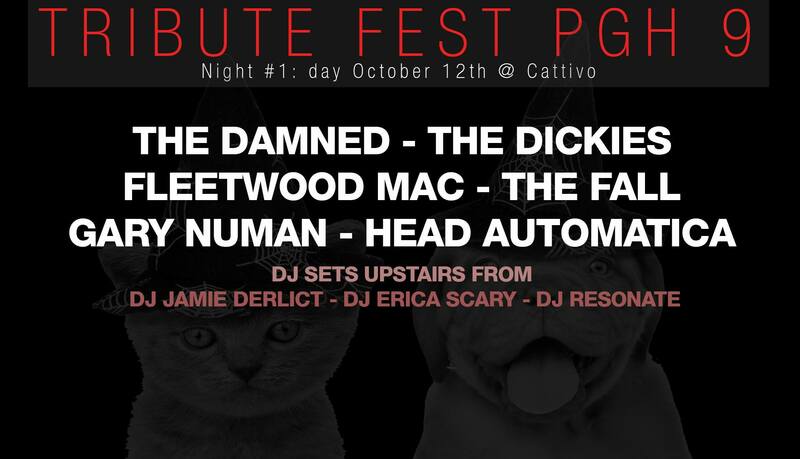 TributeFestPgh 9 is 4 nights of your favorite local musicians joining forces to dress up in character and perform as their favorite bands, all to raise money for Humane Animal Rescue! This year we have 33 bands over 4 nights! Bands will play downstairs. Upstairs will feature punk/ goth DJ and a silent auction. DJ Jamie Derlict from 8-10, and then DJ Erica Scary and DJ Resonate from 10-2 am. You will want to bring cash to this worthy benefit. The silent auction table will be filled with gift certificates to local businesses, crafts/art, and much more.